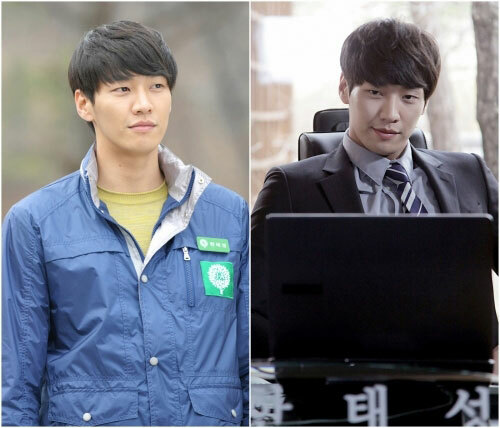 Actor Kim Young Kwang is showing two completely different charms in “Love Rain“. In KBS 2TV drama “Love Rain”, Kim Young Kwang plays the role of senior of Jung Ha Na (Yoona), Han Tae Sun. The natural and unrestrained senior who is silently supporting Ha Na is unveiling his complete opposite image on episode 9 of “Love Rain” broadcasting on April 23rd, 2012. The ordinary undergraduate Tae Sung transforms to appear with gorgeous suit, what unknown secret will he brought? Kim Young Kwang who has impressive figure of 187cm debuted as a model, and he perfectly showcases the Western style suit, displaying the charm that is completely contrary to the past image, raising the expectation of the audience. In addition, the first romantic date of Joon (Jang Geun Suk) and Ha Na in “Love Rain” is about to stage formally. The secret of Tae Sung at this time will make the plot more dramatic.